Vancouver Island offers a great opportunity for leisure and short holidays. The island is easily reached by ferry and this allows you to bring your own car. In my case, I caught the ferry to Nanaimo and took my car to allow self drive options. Located in British Columbia, Canada, Vancouver Island is a must for every person and travellers like me. The journey from Vancouver to Nanaimo by ferry takes about 2 hours. It is a phenomenal trip, taking in the coastline and natural beauty of the place. It is a beautiful beginning to a trip while traveling across Vancouver Island. Other important and famous places on the island include Victoria and Qualicum Beach, near Nanaimo. Duncan has attractions like totem polls and I was keen to try some wineries. I prefer to travel during the summers when it is dry. The summers are a lovely time to go for short holiday or even get in some leisure time. Starting with Nanaimo I headed to Victoria. I had a keen interest to visit these spots. They did not let me down as I enjoyed my trip. 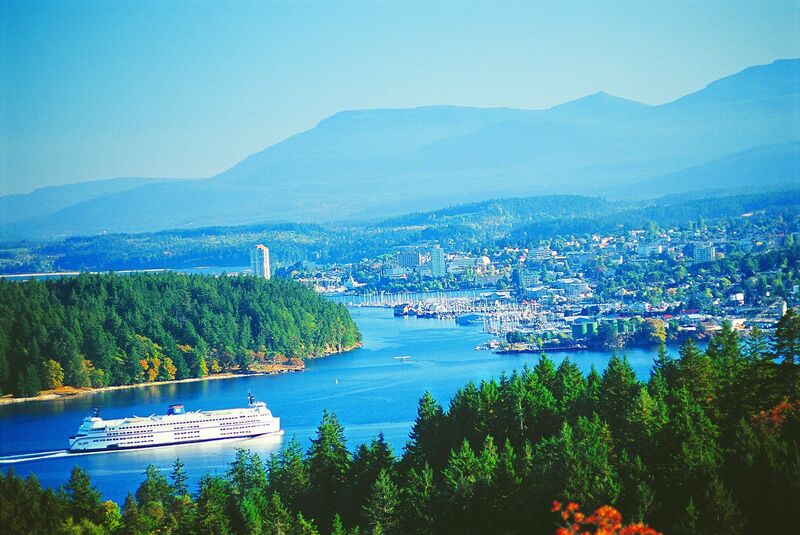 Nanaimo is Vancouver Island’s second largest city, having ocean front views with a busy harbour. I enjoyed landscape views walking around the waterfront district. Nanaimo is very walkable and allows to enjoy the fresh air and sights. My first experience here was enjoying the immense fun of full-moon kayaking and then having a gourmet meal of seafood. We stopped at a Bed and Breakfast, to be honest it was very good value. In the morning we were able to breakfast and go off exploring in the next place. I enjoyed the scenic drive to Victoria, stopping at a couple of wineries along the way. The city of Victoria is not only known worldwide for plenty of tearooms, antique shops and galleries but also for it’s sights and architecture. It’s wonderful for young and old as it offers coffee shops, boutique bars and Devonshire teas. As we drove in, I could see there was much to see and do. We enjoyed the remainder of our day wandering around and had a wonderful time at one of the boutique bars, then catching a late ferry back. Vancouver Island offers a lot for travellers or people wanting a short holiday. It offers a memorable and special memories as the experience is amazing. The picturesque landscapes are worth the effort. We did it over a couple of days with an overnight stay. The fresh air, seafood and outdoor sports left me feeling refreshed. It is worth the visit, not forgetting international festivals and events that are held time to time, it will provide a memorable time. Check out Victoria’s boutique bars to round out the trip, they were real treat.